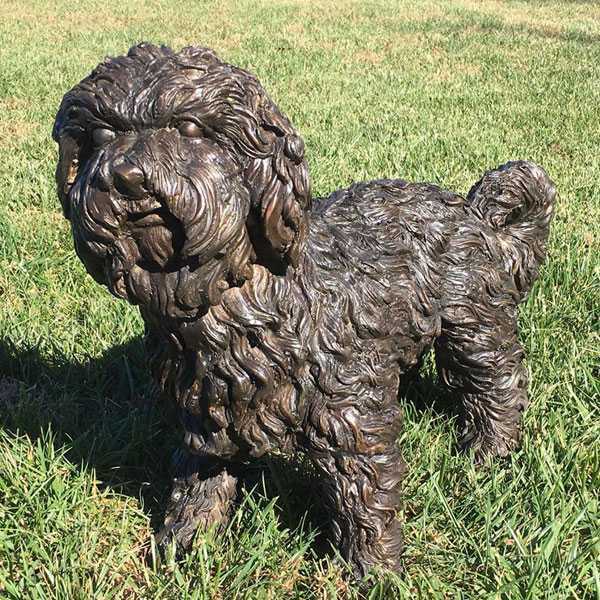 This large scale bronze statue Bronze Rottweiler Statues will be a perfect statement for any park, home or garden.So if you want to custom made Bronze Rottweiler Statues,or want to other custom made sculpture in bronze,please contact with us right now ! 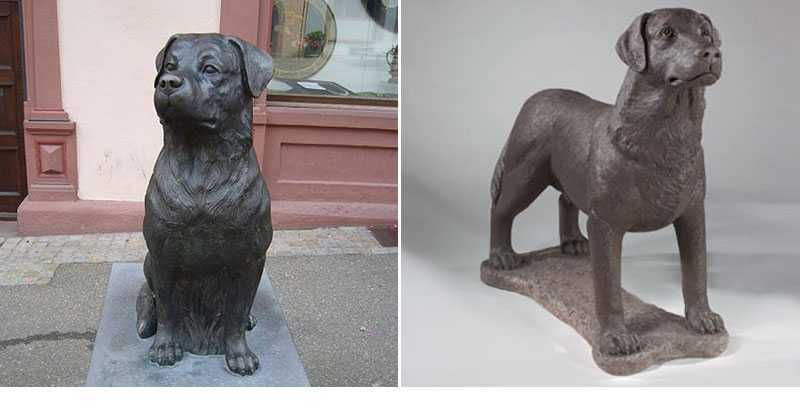 Bronze Rottweiler Statue is a famous dog breed statue.The most expensive of these materials is bronze, but there is a big difference in “pure” cast bronze and cold-cast bronze. 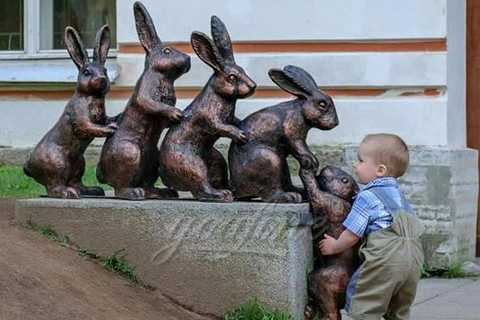 The traditional cast bronze technique depends on making a model, and covering this model (often wax) with a heat resistant mould. After removing or burning off the model, molten bronze is then poured into the mould to form the shape. 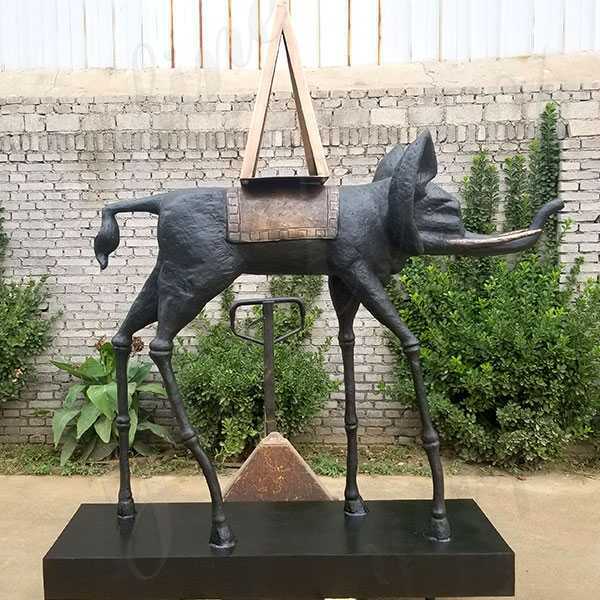 Cold-cast bronze is actually a mixture of 50-70% resin (plastic) and some bronze powder that is poured into a mold. 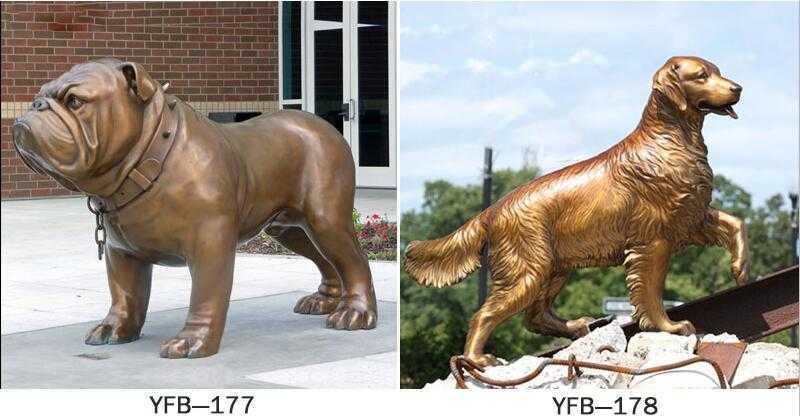 Most cheaper bronze rottweiler figurines are produced with this much cheaper technique. 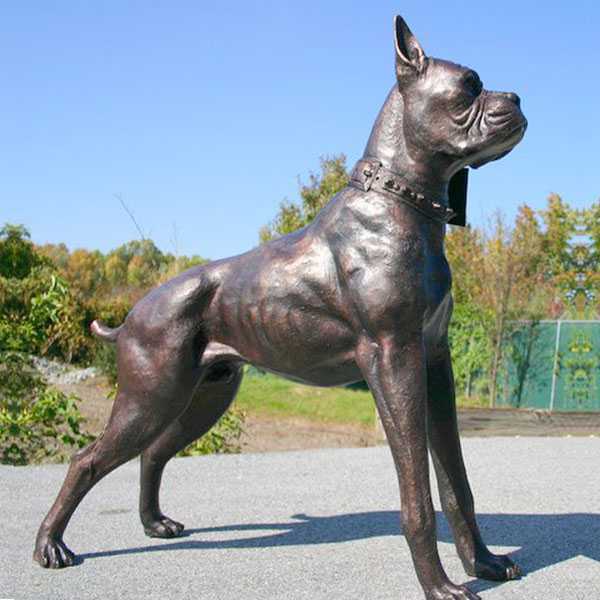 This large scale bronze statue Bronze Rottweiler Statues will be a perfect statement for any park, home or garden. Rottweiler is a breed of livestock dogs that are considered medium to large or large. 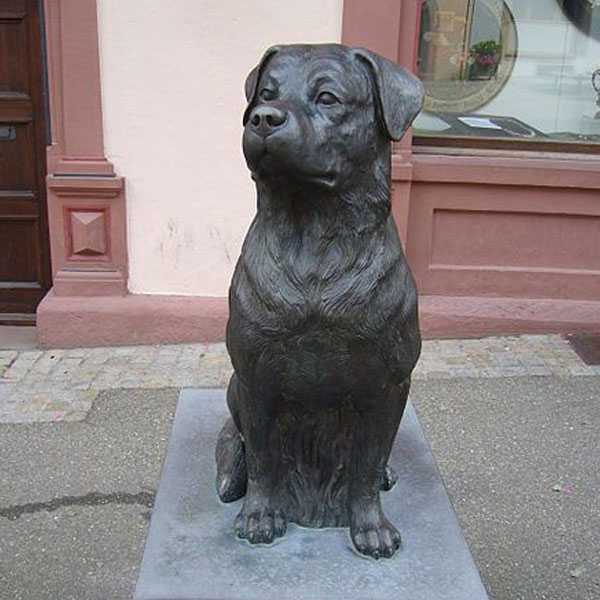 What was known as Lot Wyler Metzgarhon (Rocotweiler metzgerhund) means the dog of the lot Weil Butcher. The main purpose was to tame and slaughter livestock. This lasted until the mid-nineteenth century until the railroad collapsed. 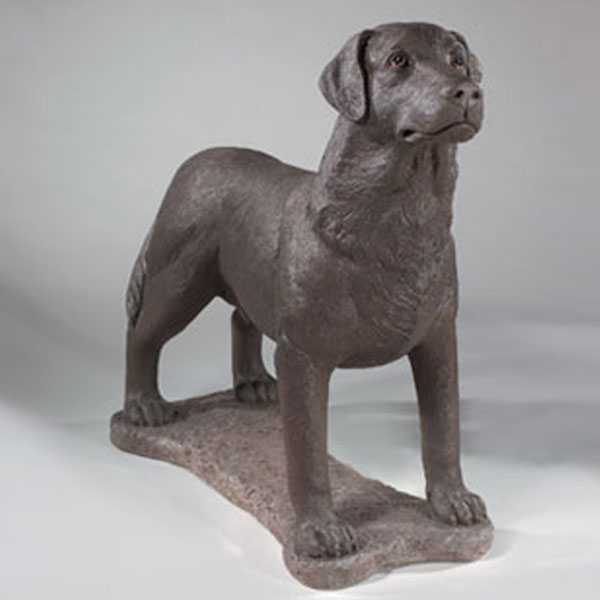 Lot Wyler are bred in many parts of the world, but are now being used as search and rescue dogs, guard dogs, and police dogs. The Rottweiler is one of the oldest of herding breeds.With a history possibly dating back to the Roman Empire,the Rottweiler may be a descendant of ancient Roman drover dogs; a mastiff-type dog that was a dependable, rugged dog with great intelligence and guarding instincts.During their quest to conquer Europe, the Roman legions traveled in large numbers across the continent. The lack of refrigeration meant soldiers brought herds of cattle for food. 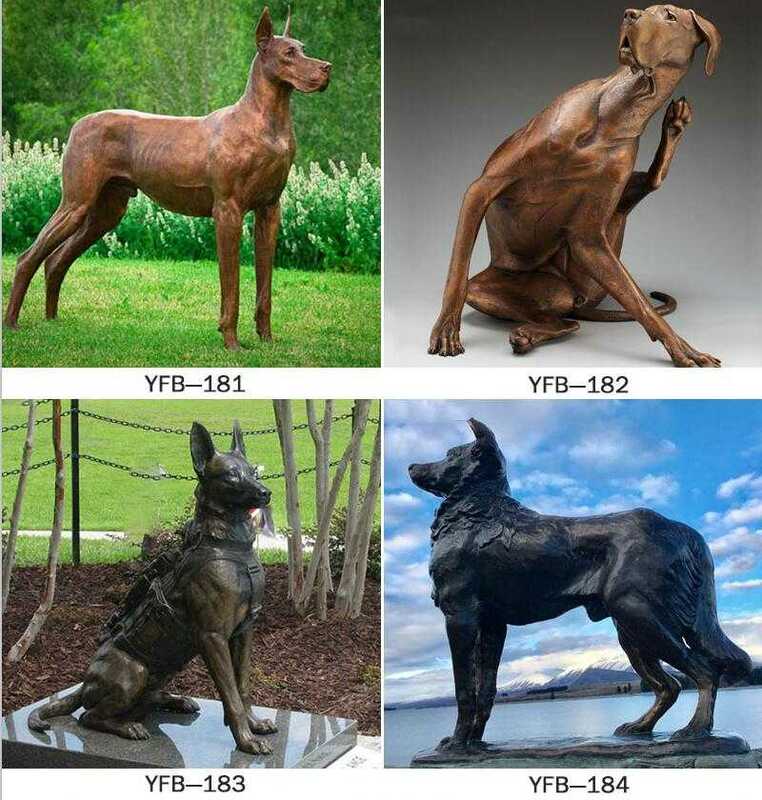 So if you want to custom made Bronze Rottweiler Statues,or want to other custom made sculpture in bronze,please contact with us right now !